R. Kelly complained a week ago via Twitter about having problems with his throat. 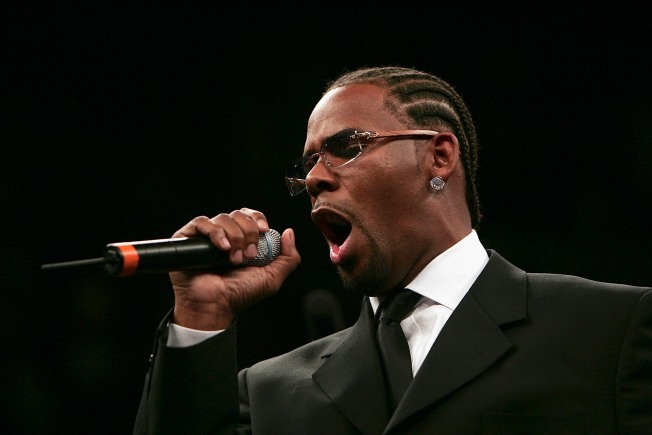 A spokesman for R. Kelly says the R&B singer is in the hospital after emergency throat surgery on Tuesday. Kelly publicist Allan Mayer said Wednesday that doctors drained an abscess on one of Kelly's tonsils and that the singer will be "laid up indefinitely" at Chicago's Northwestern Memorial Hospital. Mayer says Kelly had been complaining of throat pain recently and was rushed to the hospital after a throat exam. "I refuse to take another cup of theraflu! I feel like my throat is coming back. I've been in bed sweating like crazy. Thanks guys!" Kelly just finished a tour with singers Marsha Ambrosius and Keyshia Cole.